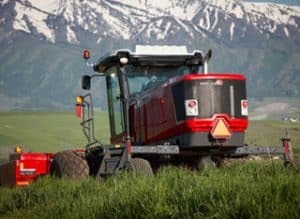 When it comes to hay and forage equipment for the Western Slope, there's no finer choice than the Massey-Hesston line. 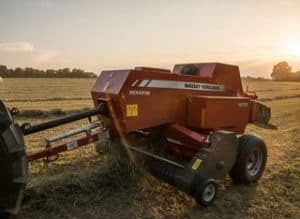 As you might know, Hesston introduced the first large square baler in 1976, and their commitment to quality has only increased over the years. 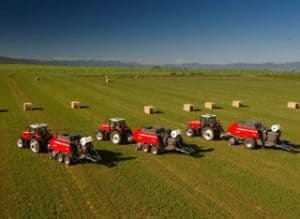 Hesston is the number one choice of top hay producers in North America, and that includes round balers, small square balers and large square balers. Hesston's innovative technology on the 1800 Series creates pre-formed bale flakes with nutritious leaves more evenly distributed on each side of the bale. And the small balers are equally well-engineered, guaranteeing no banana bales, better hay, and a less demanding workday for the operator. 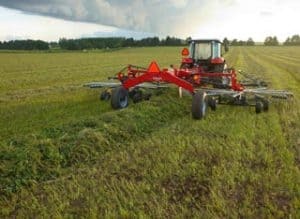 We also sell the small baler for compact tractors, an economy 4x5 baler that can be pulled by a utility tractor, and the built-like-a-tank industrial grade balers that could bale for the whole county. 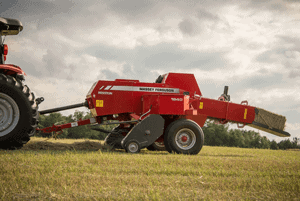 We're the Western Slope's Hesston baler and equipment source. We also carry self-propelled mocos, rakes and tedders, and windrowers. Top equipment helps create top hay. Come in, or contact us, and let our staff answer your equipment questions and show you the best. 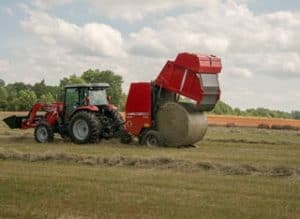 When it comes to square balers, round balers, mowers and conditioners, windrowers, rakes and tedders, we’re your Western Slope source for the best. High quality hay comes, in part, from top quality equipment. You’ll find small hay balers, small round balers, small square balers, windrowers for sale at Montrose Implement. And our knowledgeable staff will answer all your questions, so you can be sure you’re getting exactly what you need to make hay while the sun shines. If you've ever wondered what's going on inside a big square baler, watch this video. It's pretty amazing - this machine takes loose hay and forms it into a tight, rectangular package that can be trucked many states away. You' ll find big square balers, as well as small round balers and small square balers for sale at Montrose Implement. 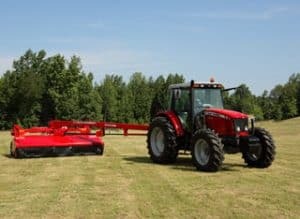 We have factory-trained technicians waiting to perform any service work needed to keep your baler working for many acres to come.